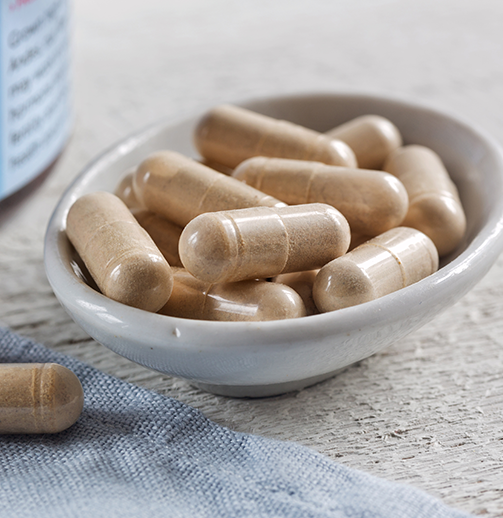 Our Raw Sundried Red Maca Root Capsules contain 100% pure Red Maca powder. All of our Maca powders are carefully and consciously grown, processed and handled. They come from an organic farming co-op near Junin, Peru, the traditional farming area for Maca. We work only with producers who own and manage their lands at a local grass roots level. The co-op of farmers is committed both to organic farming and to producing the highest quality maca products available anywhere. We're very happy to support their work. We also offer Raw Sundreid Red Maca in powder inthree different sizes. BEST fix out there for Hormonal Acne! Helps relieve nighttime hot flashes! I tried this after all other natural remedies failed to help lift me out of severe postpartum depression, accompanied by PTSD (is just escaped and divorced an abusive husband). I’d tried hundreds of dollars worth of natural, organic supplements that promised to help, but failed to do so. I even tried Zoloft, in desperation, but that was even worse than the depression and PTSD. Within hours of taking my first dose of Red Maca, I felt relief. This has been a godsend!! It has literally saved my life. I’ve since had other friends and family try it for anxiety, libido, fertility and more. Some gave even safely weaned off of their toxic pharmaceutical meds while taking this. I got the maca based on reviews I saw online about it helping with menopause issues and prostate issues. My husband and I are both taking it and it seems like it is helping.